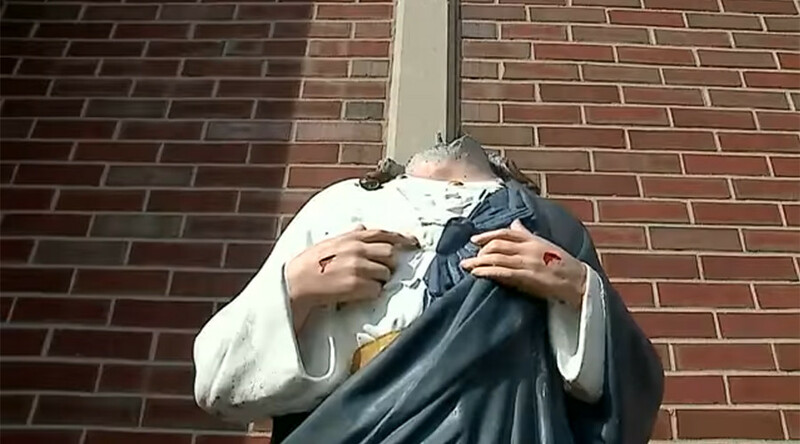 A Jesus Christ statue was beheaded for the second time in as many weeks outside an Indianapolis church as part of an ongoing wave of religious vandalism, according to local reports. The statue stands outside the Cottage Avenue Pentecostal Fellowship in Indianapolis and was decapitated for the first time two weeks ago. The head was left behind and the church was able to quickly reattach it. In the second incident, the vandals took the head with them. “The first time is vandalism, the second time there’s got to be a hatred to it,” churchgoer Leroy Myers, whose daughter donated the statue five years ago, told RTV6. Church officials don’t know if or when the headless statue, which remains outside the front door, will ever be repaired as the missing part has not been found. "It's still headless, we haven't gotten it fixed yet," Pastor Brad Flaskamp told CNN. "Don't know if we can." 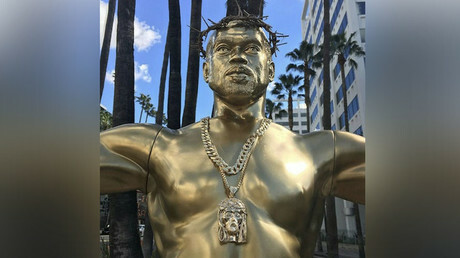 Flaskamp said the statue was actually knocked over the first day it was installed years ago, but hasn’t be targeted again since the first beheading incident two weeks ago. Pentecostal was one of several Indianapolis churches vandalized over the weekend, including one which had profanities spray painted onto the building and another which was broken into and damaged, reports RTV6.